the active-lifestyle brand for body-conscious, style-conscious, ambitious young men. It is dedicated to the hip, young, metropolitan professional, to show him how to look and feel his very best. He wants to look great because he wants to live great. As the #1 men’s brand dedicated to young and affluent professionals, this magazine is simply the new measure of success. Men’s Fitness is the ultimate active lifestyle brand and definitive destination for body-conscious, style-conscious, motivated men. 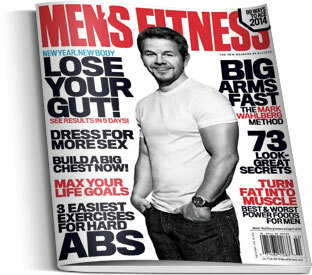 With an intelligent and authoritative approach to fitness, fashion, grooming, technology, and more, MEN’S FITNESS is the modern man’s go-to guide to looking and living great. Call us today! About Advertising opportunities Available in this Publication !